Greetings letter and... Charity Letter! 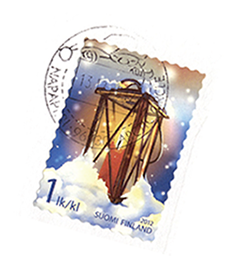 On each letter there is an unique and inimitable stamp applied by Elves, also the postmark belongs to Santa Claus village. 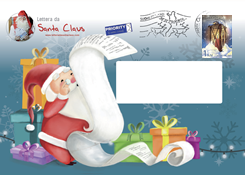 Give your child the letter of Santa Claus! Imagine a morning in December just before Christmas: to ringing the bell is the postman who will look for your child for a special delivery. The original Christmas letter sent directly from the Santa Claus Village in Lapland. Santa himself wrote to him, for many will be the first letter of their lives, for others an unforgettable surprise. "Santa has written to me, knows my name and really knows where I live!" This letter will accompany you in the most beautiful time of the year, creating a festive atmosphere in your family. Ideal to be sent to all the children, grandchildren and children of friends, to continue to tell the most magical history we know, that of an old man who travels on a sleigh pulled by flying reindeer and gifts delivery.